Now that the accommodations are settled, it is time to plan the itinerary. While planning where to eat is usually not included, a travel companion wanted to make sure we would not go hungry. Armed with a list of possible eateries we could explore, we started our 11 days and 9 nights trip to Switzerland. 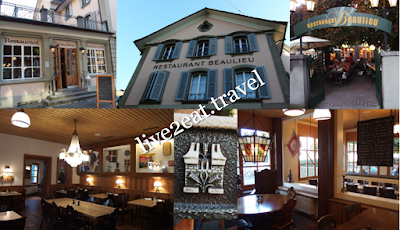 Beaulieu, which serves Swiss and Bernese cuisine, was on the list of places that we could possibly try. It was for dinner on our 2nd day – a Saturday, and the restaurant is a short distance from the old town of Bern. In contrast to the interior's homely feel, outdoor seats gave the vibes of a beer garden. We sat indoors and found the food reasonably priced. Could not fault any of the dishes we ordered and service was friendly. 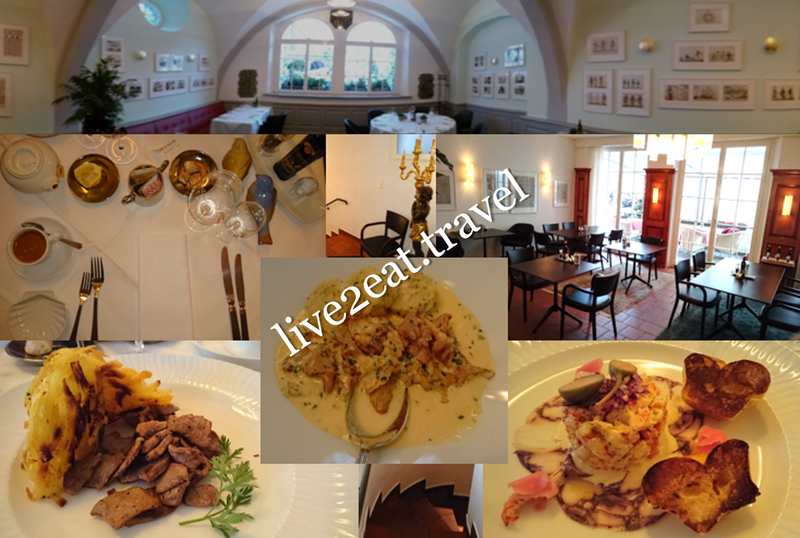 This is, without doubt, my best meal in Bern. During our first trip to Europe, we had half day to explore Lucerne. Upon alighting the tour bus, we went into the first restaurant we saw. Items on the menu were a tad expensive but we were too hungry. That was for lunch and fast forward a few years, we were back in the old town and looking for a place to eat dinner. Wanted to try something different but ended back at Café de Ville, located by Lake Lucerne. 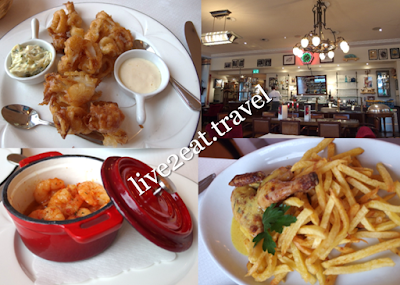 Both times, we sat on the 2nd floor and food was delicious. No complaints about the service too. Met up with a local who brought us to Im Viadukt, which is according to its website the most exciting street to shop in Zurich. Did not eat at any of the restaurants in this "shopping area with 500 sq m of creativity, design and pleasure". Instead, we continued our way to Frau Gerolds Garten beside the flagship Freitag store. Nothing beats catching up over good food (and a beer if you prefer) and great ambience, especially on a Friday night even as the temperature dips. Made a highly-recommended day trip to UNESCO-listed St. Gallen Abbey Precinct with the Baroque cathedral and Abbey library. As it is about 1.5 hours away from Zurich by train (1 hour if you drive), we decided to find a place for early dinner. 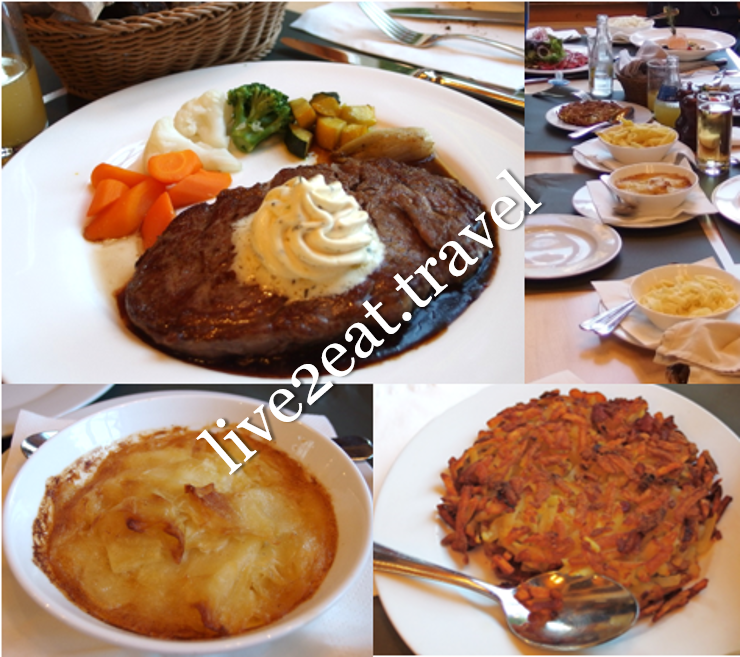 Enroute to the main train station, we saw Am Gallusplatz Restaurant. The vaulted restaurant-café-bar has different spaces including a lounge. 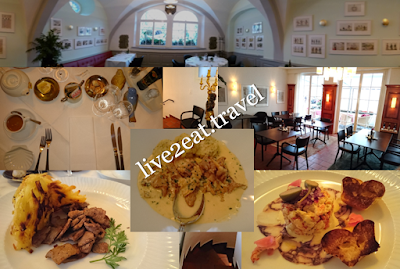 Loved the restaurant, food and service. 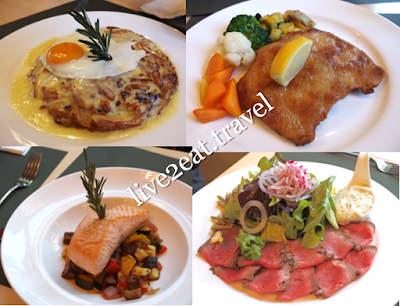 Oh, and did I mention that the rosti was the best I have ever eaten before? So good that I could not resist even though was already full. You may also be interested in Where to Stay in Switzerland and Where to Visit in Switzerland.